The black box” is a term often used to describe an object that holds mystery or infinite possibility. One of the most renowned black boxes in the world is the Ka’aba in Mecca, a large architectural cube covered in black cloth. In Islamic belief, the original Ka’aba was built by Adam, rebuilt by Abraham, and rededicated by the prophet Mohammed. Like its equivalent structure described in the Qur’an as existing in heaven, the building faces all directions equally, so that Muslims around the world will kneel toward one of its walls when they say their daily prayers. Muslims who are able are required to make a pilgrimage to the Ka’aba once in their lives, while non-Muslims are not permitted to see it, increasing its aura of exclusivity and secrecy. The mystical symbolism of the black box continues in modern art, as seen in the works of Russian Suprematist Kazimir Malevich (1878–1935). Influenced by philosophical speculations from Plato to Hinduism, Malevich made paintings of white-on-white and black-on-white squares. In envisioning the area of a plane intersected by a cube, these works suggest dissolution of the boundaries between emptiness and fullness, and ultimately evoke the infinite capacities of both mind and spirit. 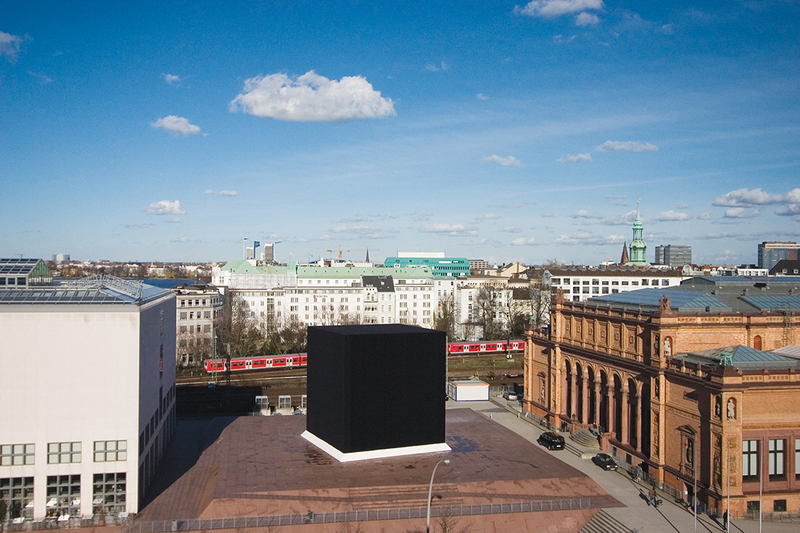 Inspired by Malevich’s mysticism and the symbolic power of the Ka’aba, the German artist Gregor Schneider created Cube. 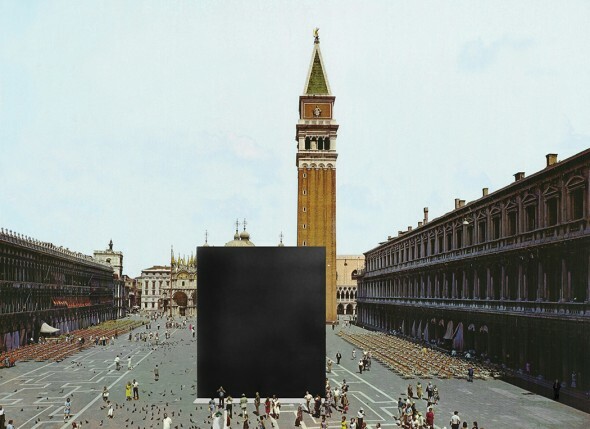 This 46-foot cubic structure was scheduled for installation in Saint Mark’s Square during the 2005 Venice Biennale but was rejected with the explanation that it might offend the Islamic community (although it is permitted under Islamic law to replicate the Ka’aba). The artist disputes the official rationale, seeing the exclusion as an act of censorship based on fear of Islam and an unwillingness to place something suggestive of Islam’s revered structure near an important Catholic cathedral. 1 Schneider says that the cube is not the Ka’aba, but “an independent form…open for all association,”2 which would “remind us of the cultural elements that we have in common.”3 The sculpture was eventually shown in the exhibition The Black Square. Homage to Malevich at the Kunsthalle Hamburg in Germany. In this instance, the black box is not just an object but an idea about the contingency of meaning: what to one person may seem spiritual, to another may be foreboding. In either case, when we think of it as a mental construction, our mind’s eye can as easily picture Cube placed in Saint Mark’s Square, where it was not permitted, as in Hamburg where it was (the digital rendering shown here helps form that picture). 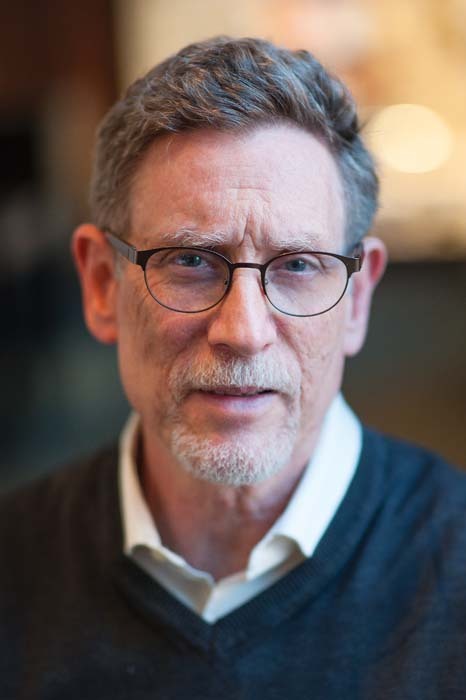 As the black box inspires debate about whether it is an expression of cultural cohesion or divisiveness, we realize that—physical or ideational—Schneider’s work has been etched into the social imaginary. 1. E-mail from Gregor Schneider to Mark Scala, February 5, 2015. 3. R. Jay Magill Jr. “For Gregor Schneider’s cube, a long pilgrimage.” New York Times, April 16, 2007. nytimes.com.